News has reached me that John Selfridge died at the age of 83 on Halloween. Selfridge was a pioneer in the area of pseudoprime research; he used what is now known as the strong pseudoprime test to check primality of numbers back in the 1950s. He was very kind to me when I entered the field as a graduate student. Along with Pomerance and Wagstaff, he is the originator of what has come to be known as "the $620 problem", the question of whether there is a number which is simultaneously a strong pseudoprime to the base 2 and a Lucas pseudoprime. If the answer is yes, he promised to pay $500 for the solution, with Wagstaff paying $100 and Pomerance $20. If the answer is confirmed as no, Selfridge would be on the hook for $20, Wagstaff $100 and Pomerance $500. When asked why he would volunteer higher amount upon production of a counterexample -- which almost surely exists -- he explained that if someone produced a dense proof claiming to show that none existed, he would rather Pomerance -- with $500 on the line -- have to read through the proof to find an error. The counterexample, on the other hand, would be easy to verify or dismiss. Throughout the '90s, and even into this century as his health was failing, I ran into Selfridge at practically every number theory conference I attended. Having retired, he enjoyed nothing better than traveling around, listening to mathematics talks, and enjoying the social company of mathematicians (with the associated libations). 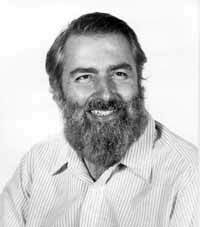 Having invested well, he decided he would rather the money go to mathematics than to the government through taxes, so he set up the Number Theory Foundation, which helps fund many of the conferences he enjoyed. Rest in Peace, John Selfridge. You will be missed. A preprint appeared on the math arXiv this week entitled, "Le plus grand facteur premier de la fonction de Landau." I think that translates as, "The largest prime factor of Landau's function." Landau's function is the maximal order of Sn (the symmetric group on n elements). The first paper I ever published was The Largest Prime Divisor of the Maximal Order of an Element of Sn. In the proof of the theorem of , α1 suites. . . , Α9, β1,. . . , Used β9 J. Grantham are very similar to those obtained by Algorithm 1 y = 3329. I think the last one needs a little work. I'll have to sit down when I have time to read a 40-page paper in French and figure out what's going on. But anyway, not only do I have a problem, I also have a method. Cool. One of my projects for this year is to finish a paper that Red Alford and I started where we show the existence of Carmichael numbers with exactly k prime factors for a wide range of k. Red passed away 7 years ago, so I think it's about time I get this paper out of the door. One of my problems has been with the complexity of the code needed to finish the computation. Recently I've been teaching myself Python, which looks like it can cut through some of the complexity issues for the less computationally-intensive parts of the computation. Anyway, I recently received a request for information about the technique Red and I used. I realized that I never put any of my talks about this technique on-line, so I uploaded a talk I gave in 2003 at the Hugh Williams conference in Banff. My article on the infinitude of Perrin pseudoprimes has now been published on-line. Paper publication to follow. "Please note access to the full text of this article will depend on your personal or institutional entitlements." The Journal of Number theory has asked me to add keywords to the paper. I also added them to my own copy, the updated version of which is available on Google Docs. This blog is now located at http://math.pseudoprime.com/.